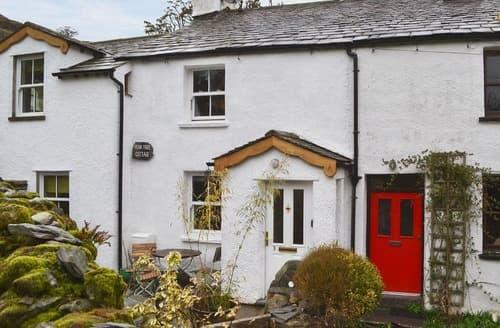 Staveley is a quaint village on the edge of the Lake District. 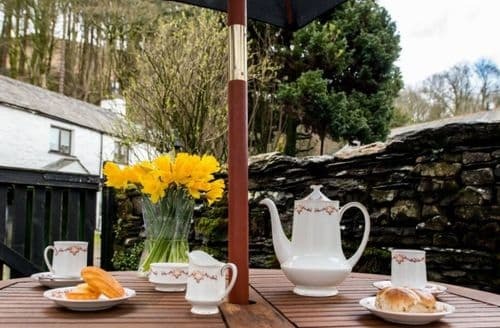 Found between Windermere and Kendal, this village is well suited for exploring one of the UK’s most-loved National Parks. 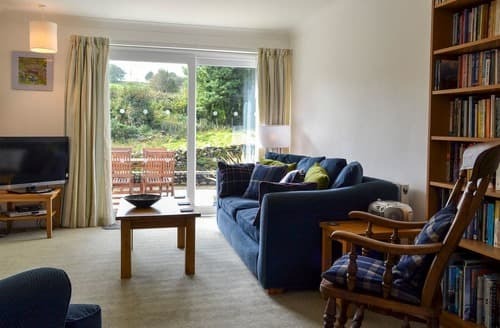 For a relaxing break, enjoy a stay in a cosy holiday cottage. 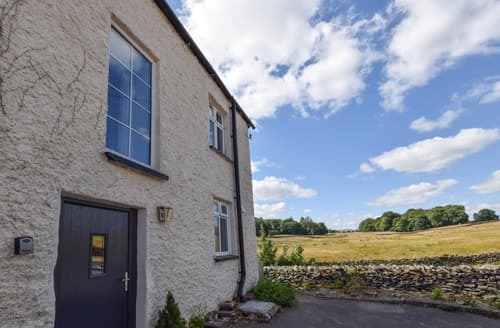 Staveley is surrounded by some of the best countryside the UK has to offer, this is unsurprisingly a brilliant destination for walkers. 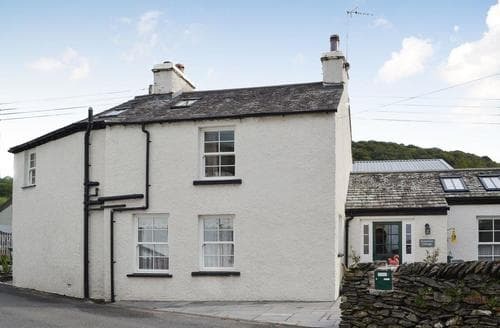 From gentle strolls along the banks of nearby Windermere to more challenging hikes up some of the nearby fells, there is no shortage of choice here. There is also a nature reserve nearby, and one a year you can catch the Staveley Carnival. This is a lovely place for a staycation. 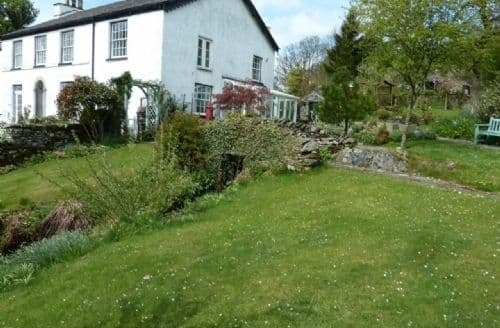 What our customers are saying about our Holiday Cottages In Staveley To Rent. "We had a very good week spent in the 'lakes'. 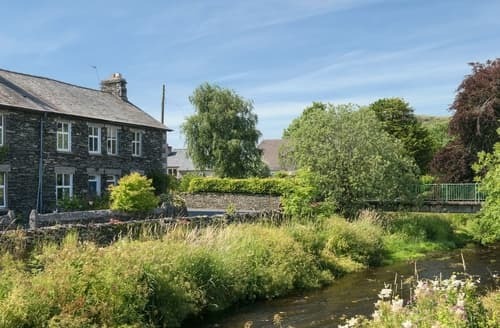 The village that the cottage is in is lovely, with all the facilities you need, a good pub within walking distance, train station and local convenience store, post office, coffee shops etc., the Hawkshead brewery and Wilf's café are both worth a visit. We took our dog as the cottage and surrounding area are very dog friendly, plus the additional treats supplied in the cottage for the dog was a very nice touch. This wasn't the most expensive cottage we could have chosen so valve for money should be considered when you read on... The kitchen was great, modern and new but so needed a dishwasher, lots of storage but that isn't our priority. The washing machine needed some up to date instructions which we got from the internet (Wifi supplied and of good quality), this greatly reduced our washing time. Both the front lounge and dinning room had the necessary seating but it wasn't very comfortable. Oh and the TV's, I think people (customers), expect so much more now, it was nice to have had two (front lounge and dinning room), but both with the smallest screen's ever made (slight exaggeration), along with quite a poor picture, this in my view did hamper the evenings entertainment. Parking could also have been an issue and was always a concern when we returned from a day out - would there be a parking space outside - we where lucky on all but two occasions unfortunately one of these was 'pack up morning' so is was a bit of a lug down the road carrying everything to the car. The bathroom along with the shower and heated towel rail were great, we never ran out of hot water and dry towels. 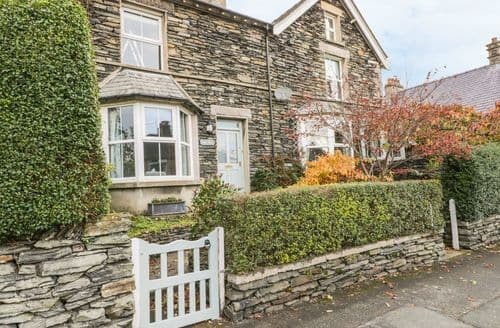 As I have said the village that the cottage is in is lovely and located midway between Windermere and Kendal and should be considered as a great location for a 'Lakes' visit." 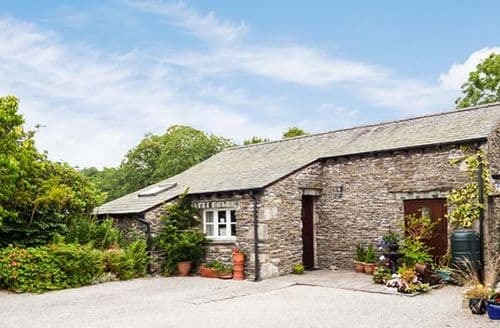 "The village that the cottage is in is lovely, with all the facilities you need, a good pub within walking distance, train station and local convenience store, post office, coffee shops etc., the Hawkshead brewery and Wilf's café are both worth a visit. We took our dog as the cottage and surrounding area are very dog friendly, plus the additional treats supplied in the cottage for the dog was a very nice touch. This wasn't the most expensive cottage we could have chosen so valve for money should be considered when you read on... The kitchen was great, modern and new but so needed a dishwasher, lots of storage but that isn't our priority. The washing machine needed some up to date instructions which we got from the internet (Wifi supplied and of good quality), this greatly reduced our washing time. Both the front lounge and dinning room had the necessary seating but it wasn't very comfortable. Oh and the TV's, I think people (customers), expect so much more now, it was nice to have had two (front lounge and dinning room), but both with the smallest screen's ever made (slight exaggeration), along with quite a poor picture, this in my view did hamper the evenings entertainment. Parking could also have been an issue and was always a concern when we returned from a day out - would there be a parking space outside - we where lucky on all but two occasions unfortunately one of these was 'pack up morning' so is was a bit of a lug down the road carrying everything to the car. The bathroom along with the shower and heated towel rail were great, we never ran out of hot water and dry towels. 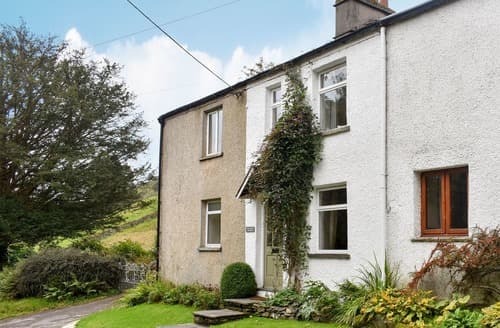 As I have said the village that the cottage is in is lovely and located midway between Windermere and Kendal and should be considered as a great location for a 'Lakes' visit." 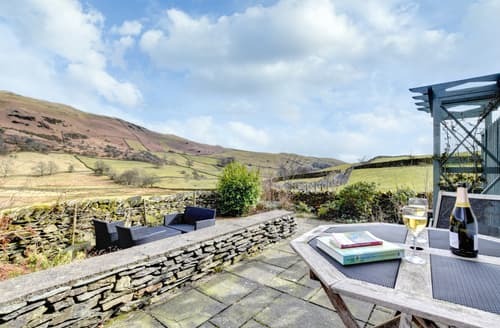 "The aim was to find a cottage close to the M6 and the Eastern and Central Fells to coincide with the Hawkshead Brewery beer festival just down the road. Staveley is a great centre with the 555 bus stop, Beer Hall, grocery shop, baker, several cafes and butcher all in easy walking distance. 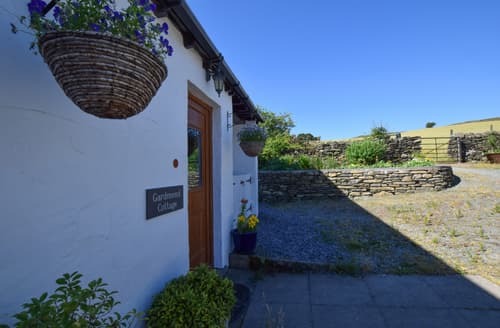 The cottage is beautifully fitted out and there is a spacious sun room as you enter, adjoining a very big kitchen which leads on to a large sitting room. The ground floor also includes a downstairs loo and clothes washing and drying facilities. We didn't need the sitting room at all as there is a TV with DVD player in the sun room. The three bedrooms are well presented and there is an en suite bathroom for the master bedroom plus a separate bathroom for the other two rooms. 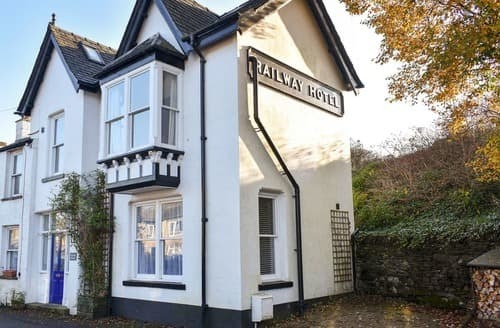 The only negative point is that traffic starts to pass close by the cottage from about 6.00am so light sleepers will be woken unless you sleep in the small room at the back. There are some big trucks from the factories further up the Kentmere valley which use the road. Two small cars will fit on the cottage forecourt.We walked the Kentmere Round (8 hours including breaks), went up Pike o' Stickle and a few other summits from the New Langdale Hotel, did Helvellyn and Catstycam via Swirral Edge (scary in the rain) plus Great Carrs and Swirl How from Wrynose Pass. The beer festival was very good! Have a walk round Craggy Wood where the Cumbria Wildlife Trust is raising funds to purchase the wood from the Lake District National Park Authority https://www.cumbriawildlifetrust.org.uk/appeals/craggy-wood. Thank you for the wine and sausage token - nice touch. We had a great time!" 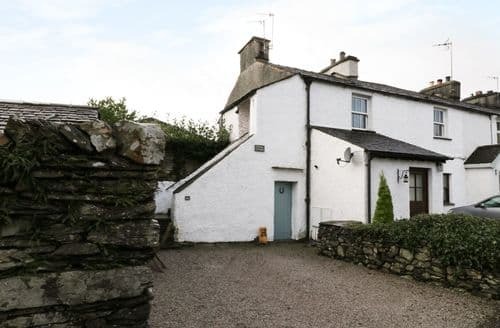 "I have stayed at this cottage on a number of occasions over the last 3/4 years. It is a fantastic place, ideally located for a relaxing break. However, it is in need of some ongoing maintenance. In the front bedroom/ bathroom alone the following needs attention - the shelf above the sink is falling off, the light fitting above the sink has a bulb cover missing, the toilet roll holder/ towel holder both require fixing back to the wall. the shelf in the bedroom itself is leaning down at a precarious angle. In the kitchen there was a ceiling light out and the magnetic knife holder is loose. In the main seating area the front cover of a double electic socket was loose, It could also do with a review of the crockery (some of it is chipped) and although knives, forks etc are plenfiful some other kitchen equipment ie, weighing scales, potato masher etc would be useful and other things like the large frying pan need replacing altogether as you can't get it clean. 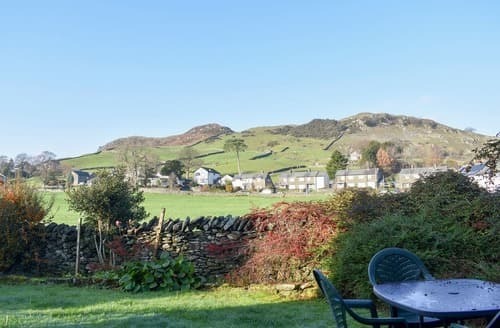 I appreciate that these are all minor things but sorted out the accommodation I feel would definitely be worthy of a higher rating"
"Staveley is a lovely village with shops, cafes and a pub. S88309 is clean with a lovely kitchen and bathroom. S88309 sleeps 4. If 4 adults stayed there would not be enough comfy seats for all the adults to sit together in one room. The front living room has a very small, uncomfortable two seater sofa. It also has two wooden framed armchairs. It resembles more of a waiting room than a room to relax in after a long day. The dining room has a two seater sofa, again not enough comfortable seating for 4 adults at a time. The kitchen lacks the basic items found in most holiday cottages that I have stayed in such as salt/pepper, sugar, tea/coffee, bread bin, and large serving spoons. The visitor book gave reference to a 'welcome pack' that had been left for them. We got a small box of chocolates of an unknown brand. A welcome pack of milk, tea/coffee and bread would have been better. It wouldn't take much to improve the comfort of S88309, buy a large comfy sofa and comfy armchair for the living room, and include some basic items in the kitchen."